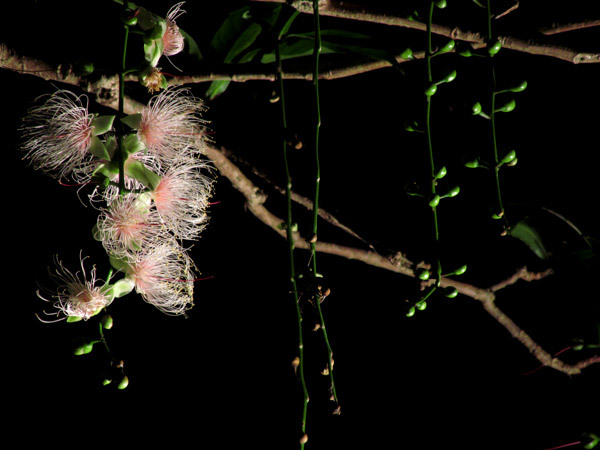 From late June to early July flowers from the tree, Barringtonia racemosa (also referred to as a Powder Puff Tree), bloom long into the night. 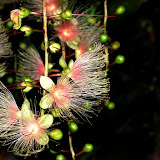 In Okinawa these flowers (and the tree) are called Sagaribana (サガリバナ) or sometimes, Moukabana (モーカバナ). By the next day, these flowers will be gone as they die off and fall onto the ground in the early morning; these flowers only have a one night lifespan. This particular Sagaribana garden is on private property belonging to a Mr. Kinjo. He opens it up to the public during the season (late June/early July). For more information see below. When: Late June/ early July. Early July the best (highly recommend to see before the first typhoon makes landfall during the season). Time. 1900-1100. Flowers begin to open around 730pm. (It is recommended to arrive between 830pm-9pm. This is when they fully bloom). Entrance fee: 200 ¥ per adults. Middle-school and below: free. Normally, Mr. Kinjo is on site. Please deposit the fee to him. Recommendations. There will be a lot of mosquitoes during this time of the year. Please plan accordingly. Parking. 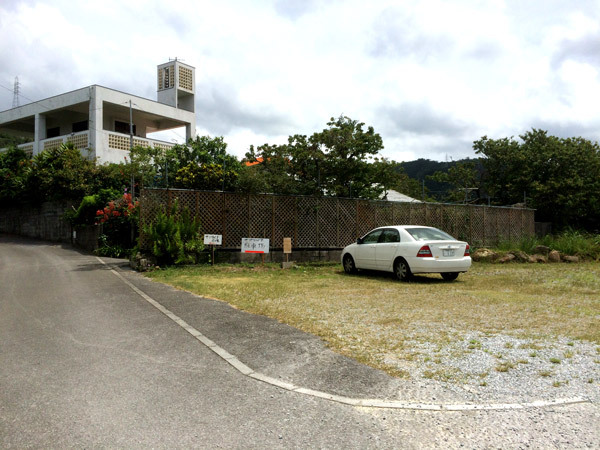 There is designated parking about 100 meters away from Mr. Kinjo’s property. You may see a sign in an open field just before you get to his property. 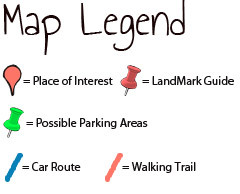 You will arrive to the parking lot before you arrive to his property. Directions. Take Highway 58 north into Nago City to the Highway 110/Highway 58 intersection. 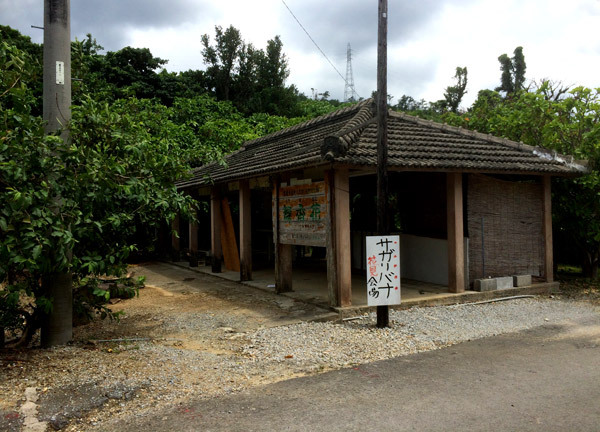 There will be a FamilyMart on the corner. 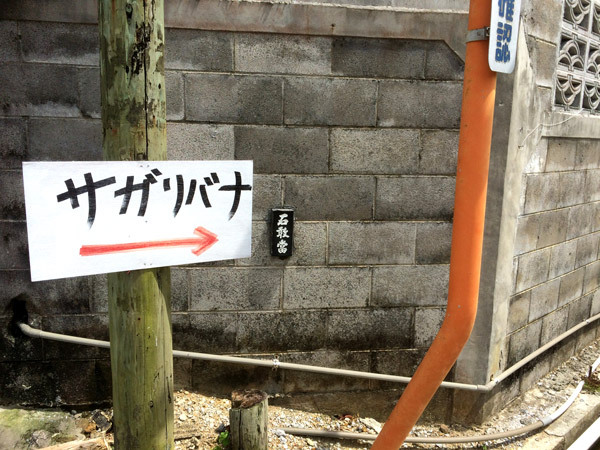 Going left takes you to Kouri Island. Do not go left. Instead take a right (going west). You will reach another traffic light. You will have to cross it. (Do not veer left on the main road). 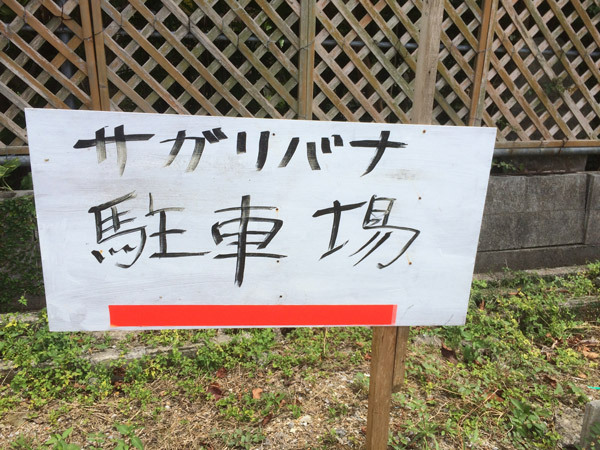 Look for signs on each corner that have the words “サガリバナ” as posted here. Continue straight until you reach the designated parking lot (a sign may be posted and you may see other cars there). You will have to continue on foot and walk little further around the corner. You will see the garden lit up at night. Here is a picture taken during daylight.